Several types of carbon nanostructures (amorphous and graphitic), for the coating of SnO2 nanobelts and nanoparticles were obtained by a single catalytic process, during methane, natural gas, and methanol decomposition using the reactivity of surface-modified SnO2 nanostructure as a nanotemplate. The nanostructured catalyst templates were based on transition metal nanoparticles supported on SnO2 nanobelts previously prepared by a carbothermal reduction process. Carbon-coated SnO2 nanopowders were also successfully synthesized for the fabrication of carbon spheres. 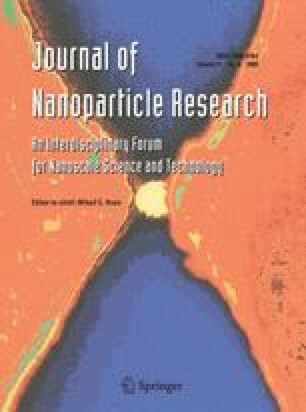 The carbon coating process and yield, along with the nature of the nanostructured carbon, are strongly influenced by the chemically modified surface of the SnO2 nanostructure template and the chemical reaction gas composition. The preliminary catalytic activity and gas-sensing properties of these novel materials based on metal nanoparticles and carbon-coated SnO2 were determined. This research was supported by the following Brazilian funding support agencies: CNPq, FINEP, FAPESP, and FAPERGS. The TEM facilities were provided by the LME-LNLS (National Laboratory of Synchrotron Light), Campinas, Brazil.